'Best Part' by Daniel Caesar and H.E.R is the kind of track that you can imagine being on the playlist of an impromptu road-trip with your beau. Usually, I like to let a new song settle into its own groove before I welcome a cover. However, I had to make an exception when I watched Asher Grey and Sharlene Klarice's recent interpretation. We have had a keen eye on Asher Grey since his recent win at the Open Mic competition of our Record Box Live event. He lists Eric Roberson, Tank and Brian Mcknight as some of his musical influences and it's not difficult to hear these influences in his soulful and versatile vocals. 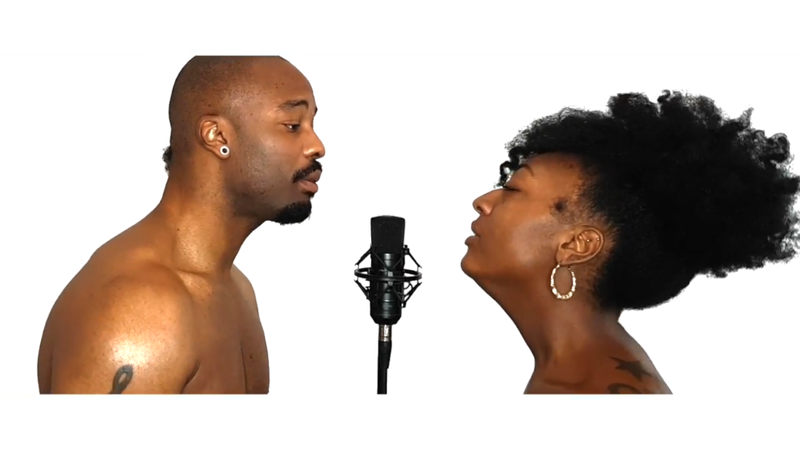 Couple his talent with the powerhouse that is Sharlene Klarice and her sultry tones and the track is a winner. Sharlene recently contributed to the success of our International Women's Day Record Box Live event with her incredible performance on the night and we are continuously blown away by her talent. It's a perfect recipe; a dope song and two amazing singers with simple but impactful visuals that embody the romantic intent of the song. Overall, the British duo more than did the track justice - Caesar and H.E.R should take note when they decide to record the official video.